WoofBox - How does it work ? Home » How does it work? 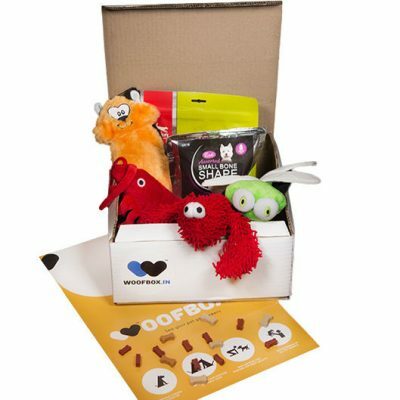 When you sign up for WoofBox, every month you will receive a box at your door step with four or more carefully selected products and presents for your dog – anything from toys, bones and all-natural treats to hygiene products and innovative new gadgets! If your dog is asking for more or you want to gift this wonderful box to your friend you can do that too. A portion of proceeds from each box will go to help doggies-in-need. To learn more about our causes, read about our giving program. Whether you’ve known your furry friend for years or have a new special canine in your life, WoofBox is the monthly necessity for keeping your pup entertained and feeling well loved.